ChemCatBio is a U.S. Department of Energy national lab-led research and development consortium dedicated to identifying and overcoming catalysis challenges for the conversion of biomass and waste resources into fuels, chemicals, and materials. 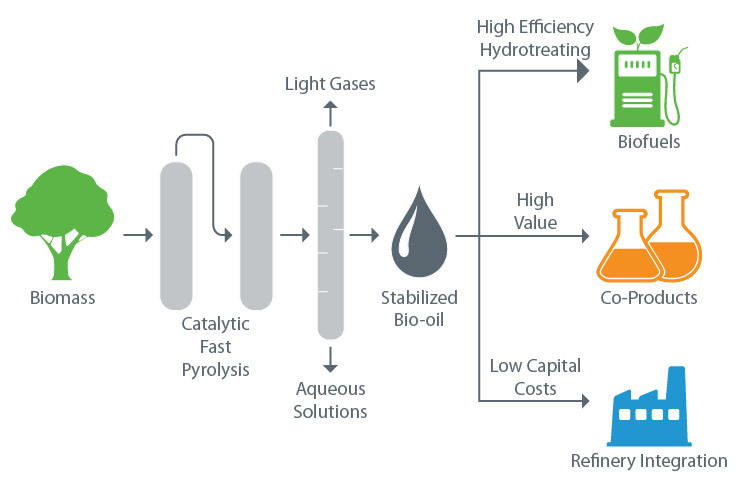 By leveraging unique lab capabilities and public-private partnerships, we seek to accelerate the catalyst-process development cycle, resulting in rapid transition of research and development (R&D) discoveries and growth of the bioeconomy in the United States. Learn more about our existing R&D projects and partnerships. Join us for our next webinar on April 24! 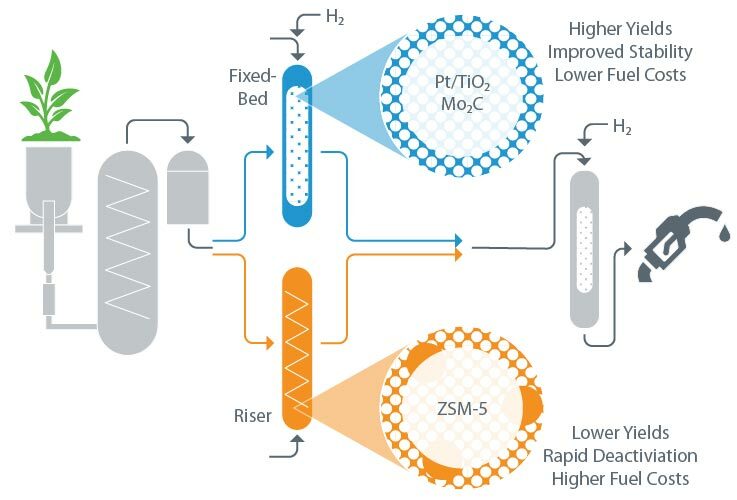 Learn more about ChemCatBio's collaborative efforts to develop economically viable options for the catalytic upgrading of 2,3-butanediol. Get more information and register today. ChemCatBio recently released its catalyst cost estimating tool to the public, incorporating industry standard estimation methods into a user-friendly spreadsheet and web tool. Try CatCost today! Various mechanisms exist to leverage our unique capabilities and expertise through public-private partnerships. Contact us today to find out how. For collaborative projects, CRADAs protect existing intellectual property and allow your company to negotiate for exclusive field-of-use licenses. Used with strategic partnership projects, a nonfederal entity pays to conduct a research-oriented project; includes intellectual property provisions. For partners seeking highly specialized or technical services to complete a project, ACT provides flexible terms. TSAs work well for projects $500,000 or less and up to three years in duration; they are funded entirely by the sponsor for services. These discretionary grants or cooperative agreements are the result of a competition for funds. ChemCatBio provides streamlined access to intellectual property. All participants of ChemCatBio have collectively negotiated CRADA and Intellectual Property (IP) Management Plan templates. These agreements allow industry to partner with the national labs and easily access IP that results from those engagements. Under the CRADA, IP ownership follows inventorship, with the industrial partner having a right to negotiate an exclusive license to IP developed with the ChemCatBio consortium. 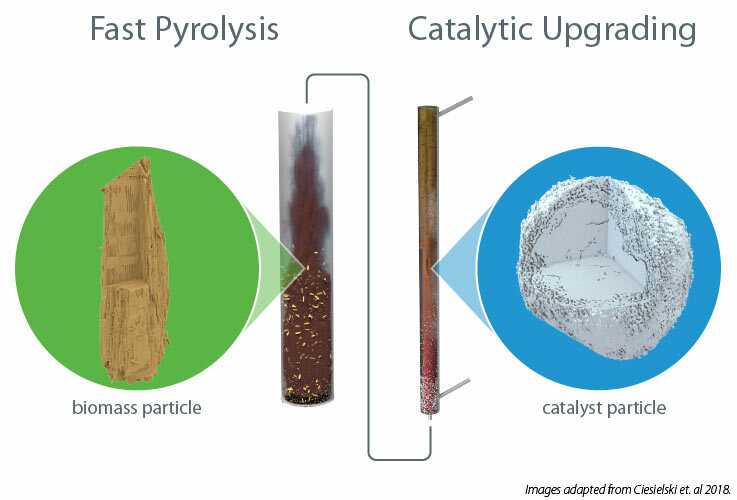 Recent ChemCatBio research offers new perspectives on catalytic fast pyrolysis.